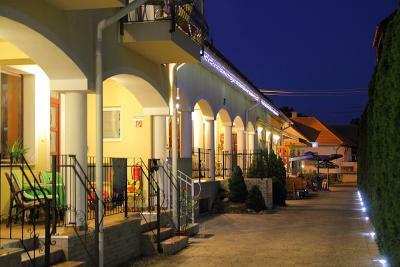 Lock in a great price for Bajor Panzió Restaurant Aparthotel Bük-Bükfürdő – rated 8.2 by recent guests! The staff was extremely helpful. The breakfast was slightly above our expectations. The bed and the bedding was comfortable. They provided two separate duvet and not one but bigger. Private parking is available. Everything was perfect, the most important was great attitude of more than nice persons who were taking care of the hotel and restaurant: Mr. Gergo, Mrs. Edina and Mr. Mariusz. Our stay was unforgettable. 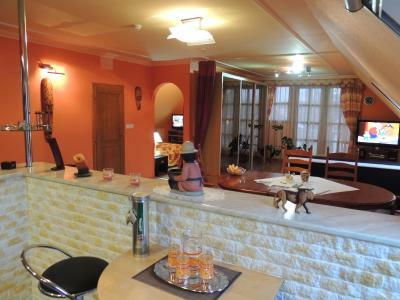 Very good location - Lutzmannburg nearby, thermal spa. Very good breakfast. Nice staff. 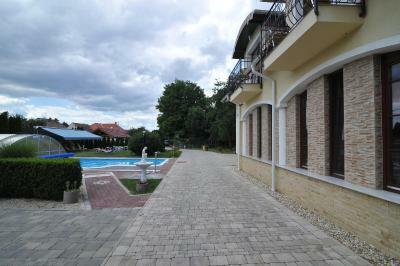 Pool, facilities for kids, table tennis. Parking place free of charge. Nice surroundings and children friendly. All clean and safe. Izby veľmi pekné a útulné,blízko k termalu len cca 1,5 km,príjemný personál,pekná záhrada s ihriskom,stolný tenisom a bazénom. Nagyon kedves és segítőkész személyzet,barátságosak voltak és nagyon közvetlenek. Szép a környezet,rendben tartják,a szoba tiszta volt. Krásné a pohodlné ubytování s opravdu výbornou snídaní. Alles war super, Zimmer waren sauber, lage ist top. Personal ist super nett. Sehr zu empfehlen. das Essen war lauwarm, mann muste immer sagen es ist aus. 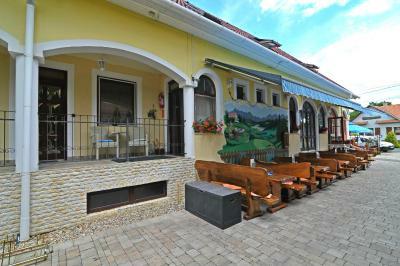 Bajor Panzió Restaurant Aparthotel Bük-Bükfürdő This rating is a reflection of how the property compares to the industry standard when it comes to price, facilities and services available. It's based on a self-evaluation by the property. Use this rating to help choose your stay! 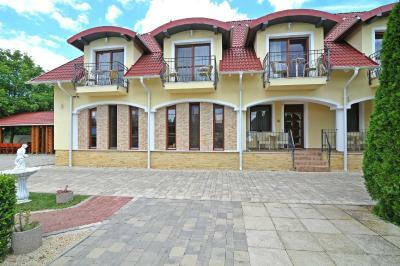 Bajor Panzió, a secluded apartment hotel, is set in large gardens featuring an outdoor swimming pool, large terrace with sun loungers and barbecue facilities. All the rooms have a balcony. Free private parking is available. Guests can enjoy the spa facilities at Aparthotel Bük-Bükfürdő which include a hot tub, an infrared sauna, a seasonal pool and massages on request. A gym is available as well. 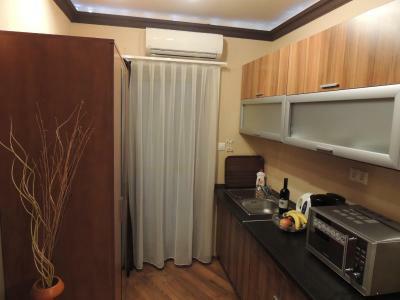 The individually furnished rooms include satellite TV, a refrigerator and an LCD TV with a DVD player. Free wired and Wi-Fi internet is also available. 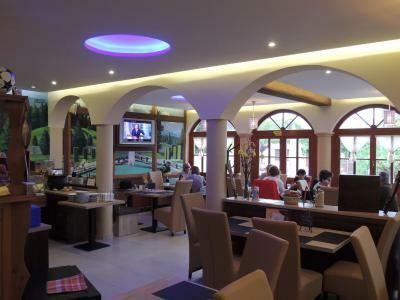 Bajor Panzió Restaurant Aparthotel Bük-Bükfürdő is a 3-minute drive from the Bük Thermal Baths and from the Greenfield Golf Course. 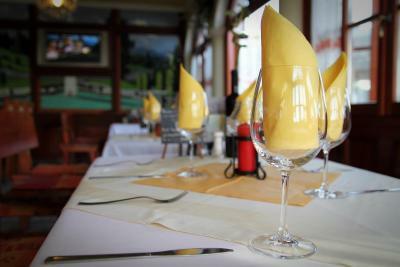 The hotel restaurant serves traditional Hungarian cuisine. This is our guests' favorite part of Bük, according to independent reviews. 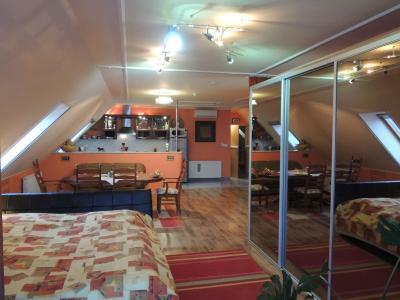 When would you like to stay at Bajor Panzió Restaurant Aparthotel Bük-Bükfürdő? 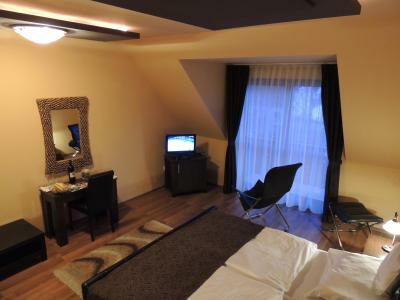 The room features a seating area with a flat-screen cable TV and a private bathroom with a bathtub and free toiletries. A balcony or ground-floor terrace is available. 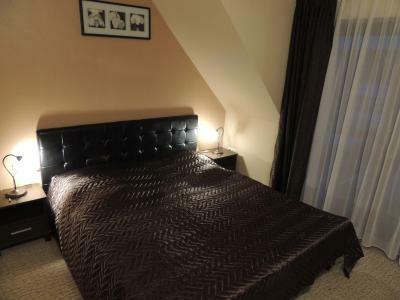 This spacious room includes CD and DVD players plus kitchen facilities. The room has a balcony or a terrace with garden views. It features a seating area with a flat-screen TV and cable channels and a DVD player. 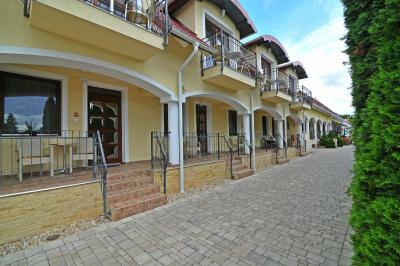 Two-Bedroom Apartment - 9740 Bükfürdő, Golf út. 6. Address: 9740 Bükfürdő, Golf út. 2. 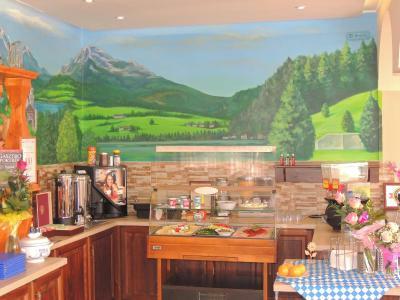 Breakfast is served in Bajor Panzió restaurant. 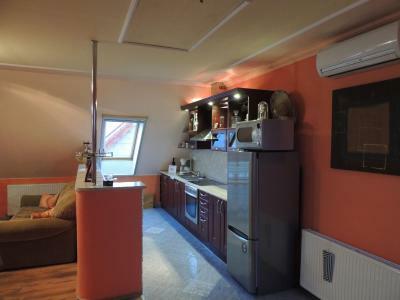 Features 2 separate sleeping areas, a living room, a kitchenette and a bathroom. Please note that between 18 January 2015 and 31 March 2015 the half board dinner is served in a partner restaurant a 5-minute walk away. 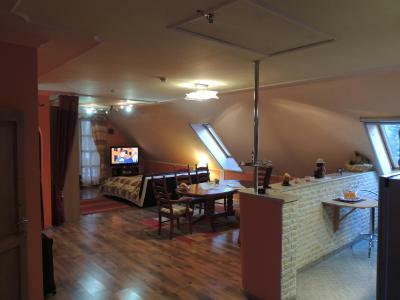 One-Bedroom Apartment - 9740 Bükfürdő, Golf út. 6. House Rules Bajor Panzió Restaurant Aparthotel Bük-Bükfürdő takes special requests – add in the next step! 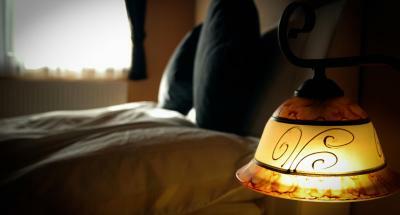 Up to two older children or adults are charged EUR 24 per person per night for extra beds. Bajor Panzió Restaurant Aparthotel Bük-Bükfürdő accepts these cards and reserves the right to temporarily hold an amount prior to arrival. Though it was indicated that the heating is controlled centrally, it was a bit cold in our room. The duvet was a bit narrow. The additional bed for our child. Clean room, big space in the bathroom. I have expected more. The facility is past its glory - for a pension I would expect a more personal touch - this was more of a uniform standard hotel service. Jacuzzi is for an extra fee, the fittness room means two machines in the outside area next to the ping-pong table. The combination of expensive, pompous and "rich" equipment with the cheapest plastic and worn out kitchenware.